It's a book. It's a book full of games. 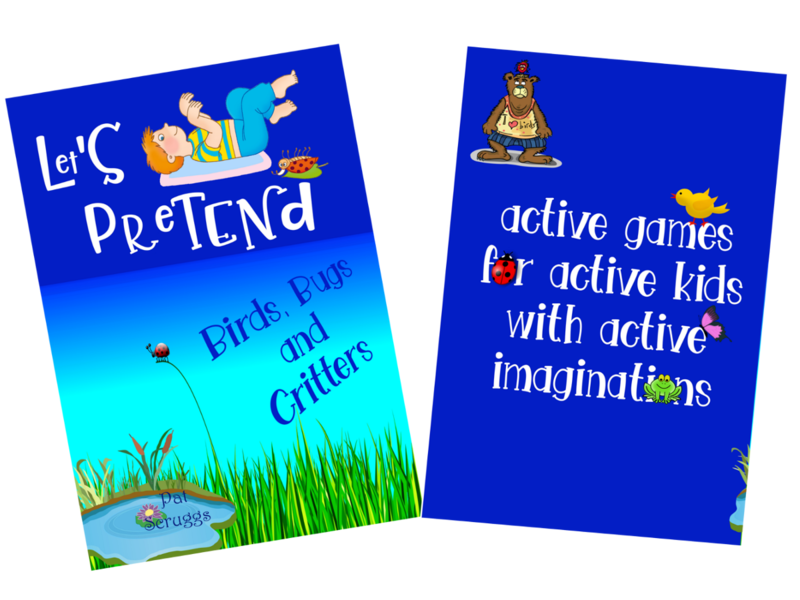 Active games for active kids with active imaginations. Old fashioned games of tag, chase, challenge, thought and strategy featuring bugs, birds, animals and critters. Let’s Pretend expands on these ordinary game ideas into new and imaginative ways of playing for outdoor or indoor play, home, church, school or parties. Let’s Pretend will get those imaginative juices flowing, as well as those little bodies moving. Game choices for all ages, for large groups or small. Older children or very small toddlers. Even, adults can join in the fun. The games in Let’s Pretend harken back to the days of old when playing outdoors was the norm. By adapting those timeless games to a wildlife theme, the children will not only benefit from the exercise, teamwork and enjoyment these games provide, they’ll also learn about nature. The bugs, birds and animals that surround us every day are truly fascinating. Who knows, you may be harboring a future Entomologist, Ornithologist, or Zoologist? Let’s Pretend encourages the imagination to play. Let’s Pretend encourages the children to move. Let’s Pretend is a book of games with a nod to learning about the natural world surrounding us. Let's have fun learning about the Bugs, Birds and Critters around us.